**Participants need to choose one day only. Each day session include one hour break from 1pm -2pm. 8A Tepian Tunku, Bukit Tunku. Please make payment by 3rd August to secure a place. 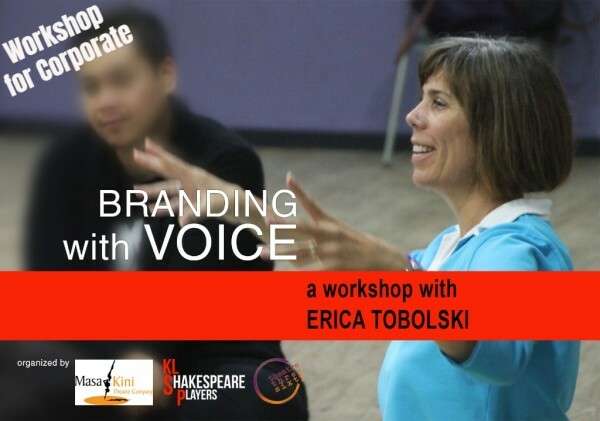 Join certified voice coach Professor Erica Tobolski, University of South Carolina, in a one day-session to find your unique confident voice that will brand you. Ms Tobolski offers her extensive experience coaching corporate, theatre and film personalities. In this one-day session she will assist you find and modulate your voice and increase your presence. The result will allow you to aurally control the message you send. For business professionals, corporate leaders, teachers and others who depend upon the spoken word to present themselves with confidence and authority. 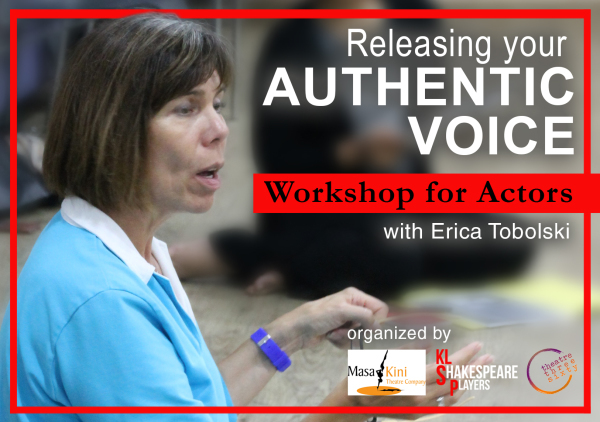 What is your "authentic voice?" 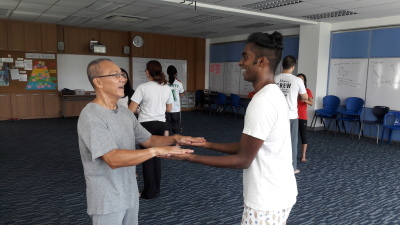 A voice that is released from a body free from tension, with easy access to breath and a mind that is present and connected to the listener. As a performer, you want to reach your audience as directly as possible, without interference. Combat tightness, heaviness or lack of energy so that you can channel your creative impulses. Learn how to increase your vocal power, access breath, and reveal your own voice and the voice of the character. 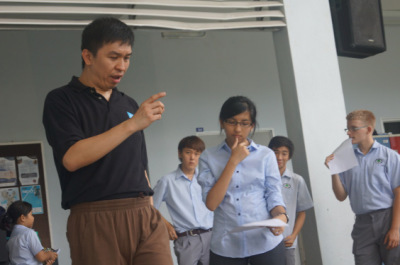 From time to time we offer free training sessions for actors who wish to hone their acting skills. We offer a variety of workshops for students: from improving confidence and public speaking skills, to understanding and performing Shakespeare. 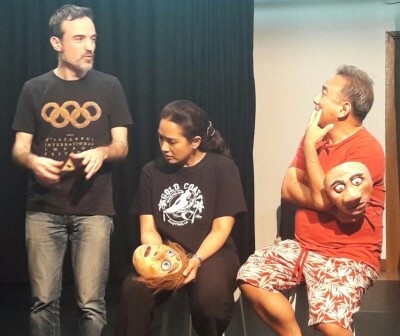 We invites established international theatre artists to conduct workshops on specific areas: physical, voice and mask making.